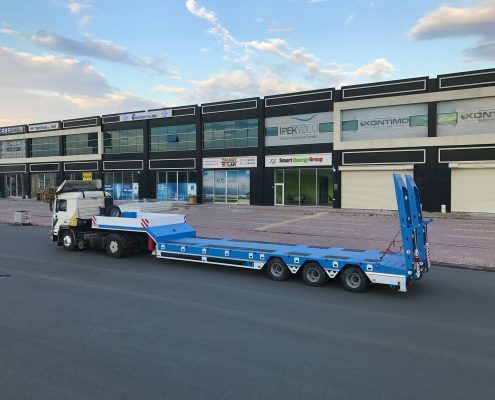 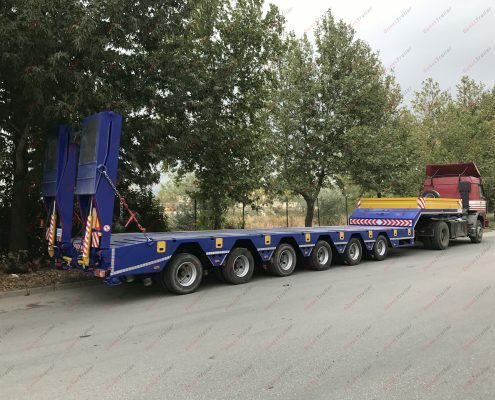 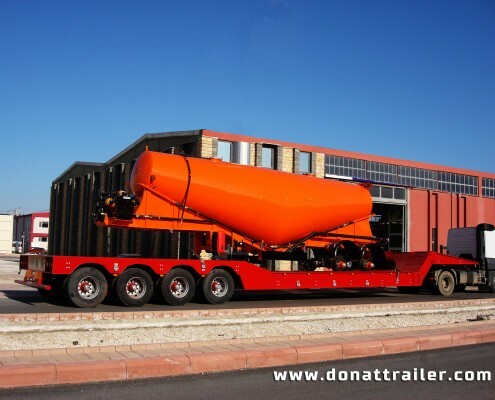 Donat Trailer offers variety of lowbed semi trailers from 2 to 10 axle with and without extension. 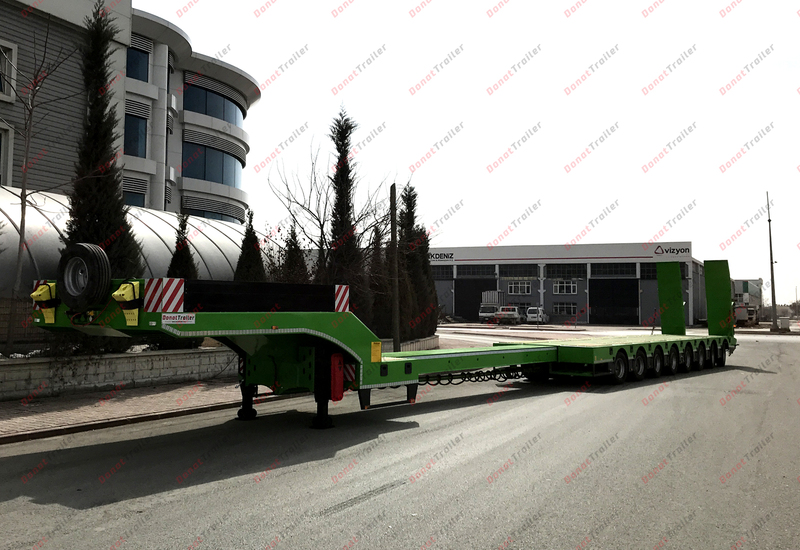 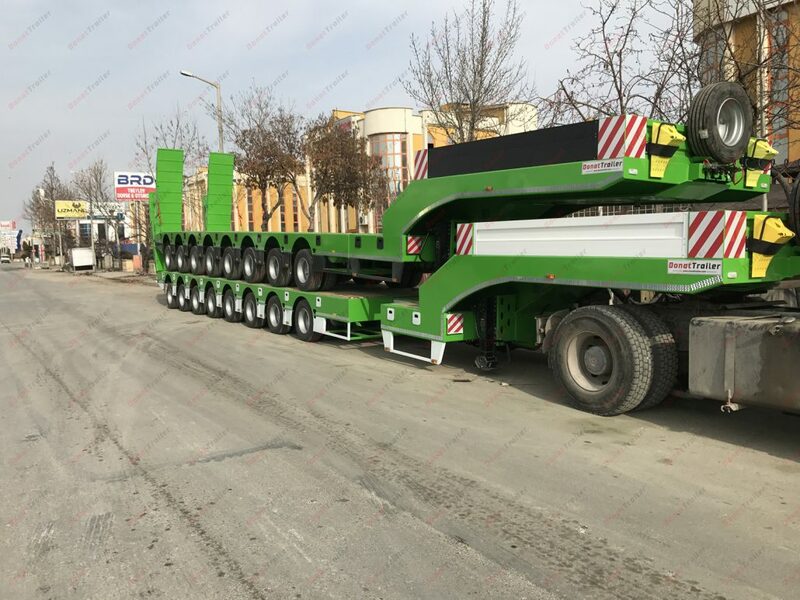 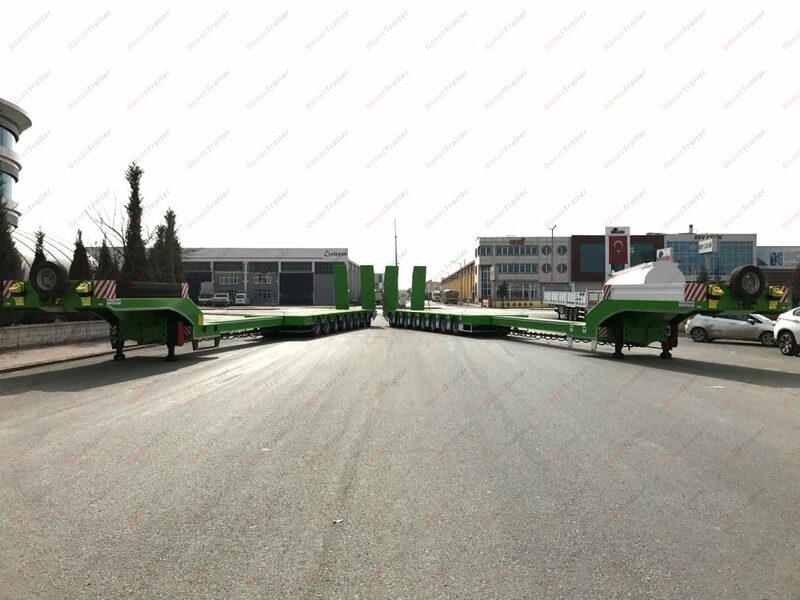 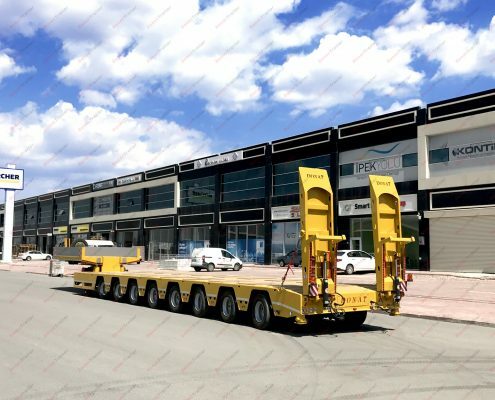 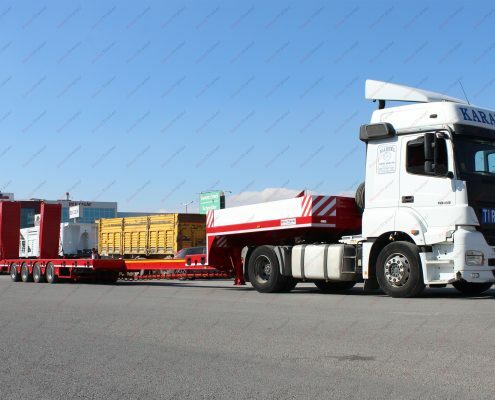 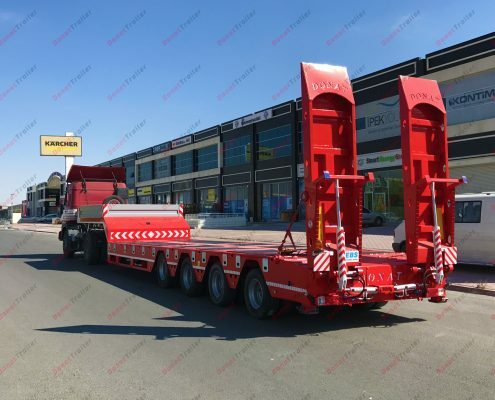 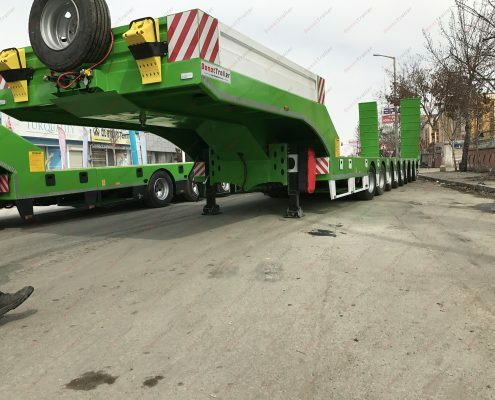 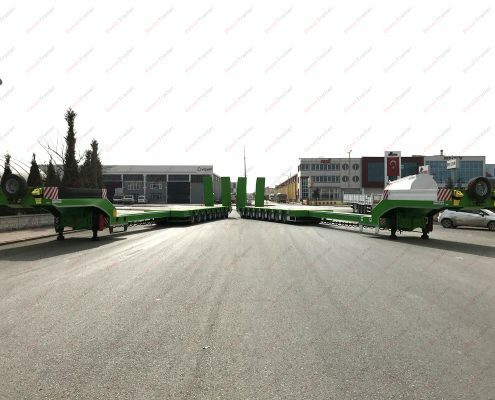 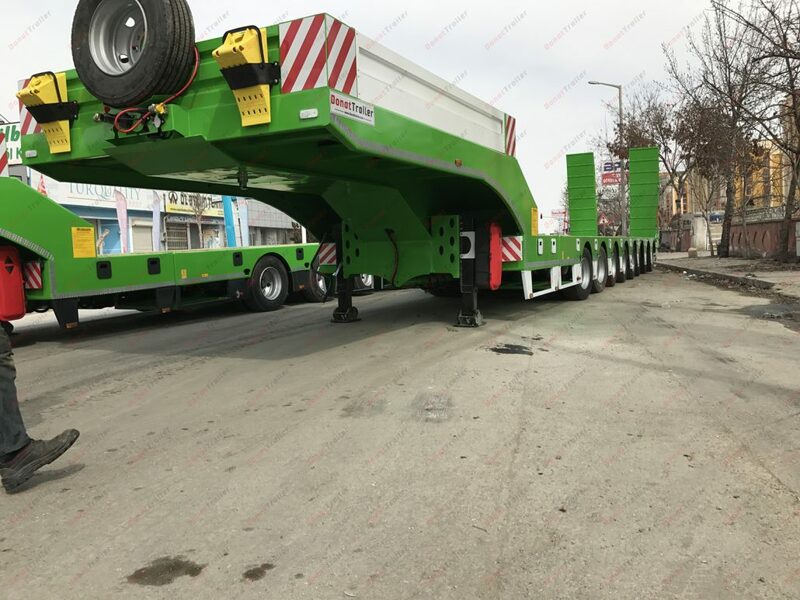 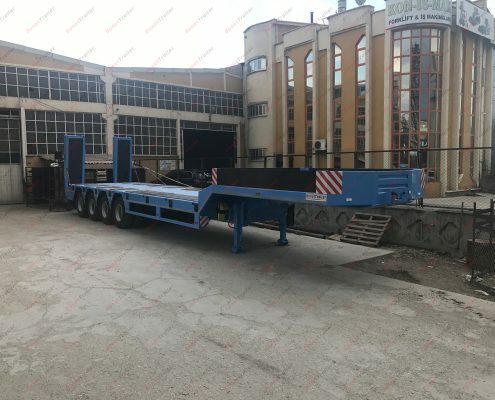 8 Axle Lowbed Semi Trailer can be designed for transportation of construction machinery, Long Pipes, Wind Energy Turbine or Wind Mill. 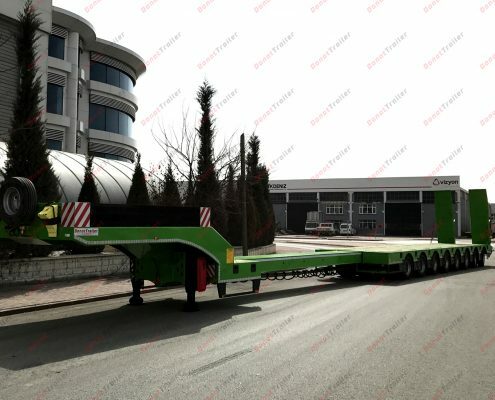 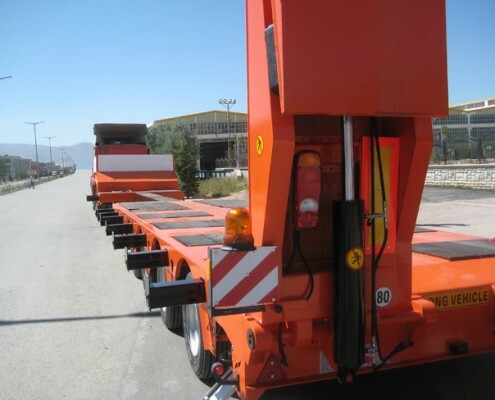 Extendable type of lowbed semi trailer can be engineered with single or telescopic extensions. 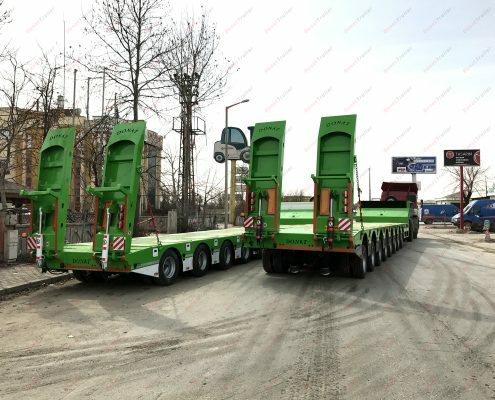 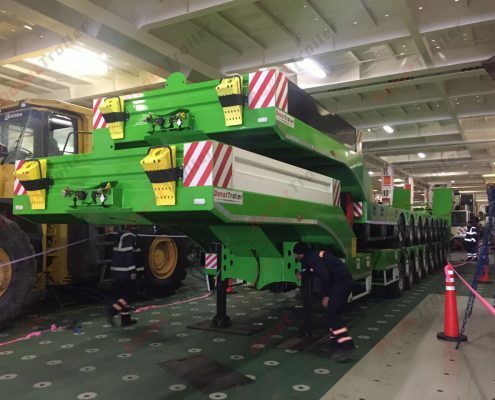 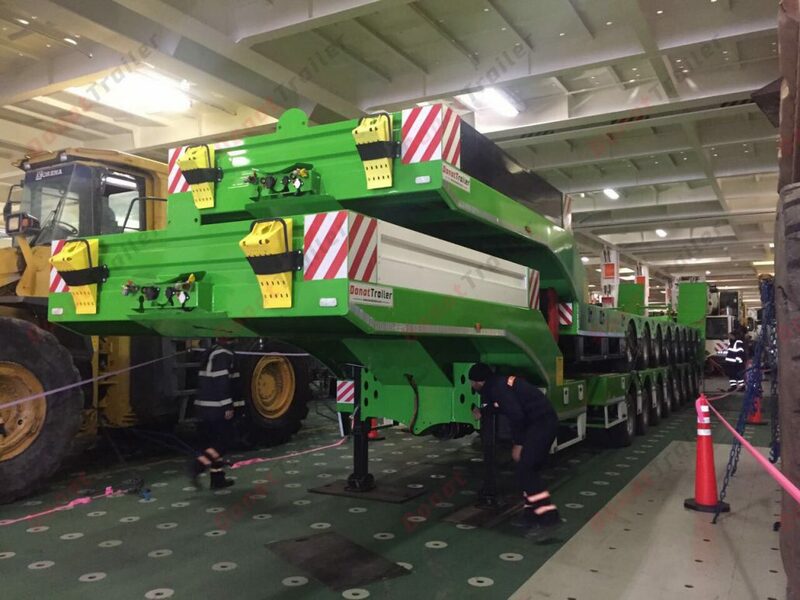 Axles: Each has 12 tones loading capacity, drum brake, air suspension, 3 fixed axle and 5 self-steering axle. Tires: 245 / 70 R 17,5 32+1 units tires and rims.